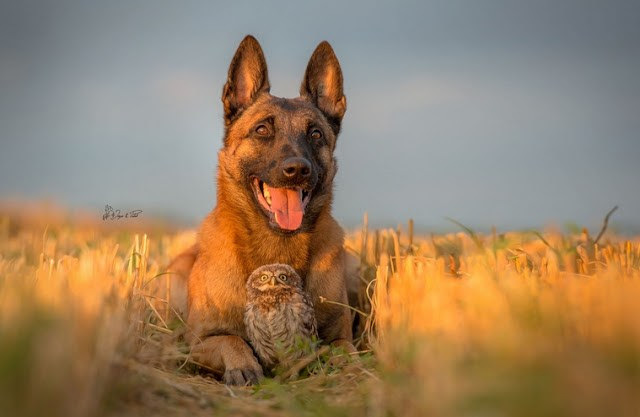 For years, photographer Tanja Brandt has made it her mission to capture magnificent photos of animals and wildlife. 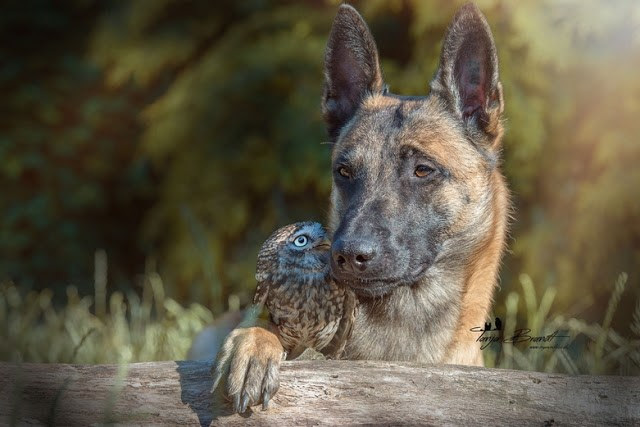 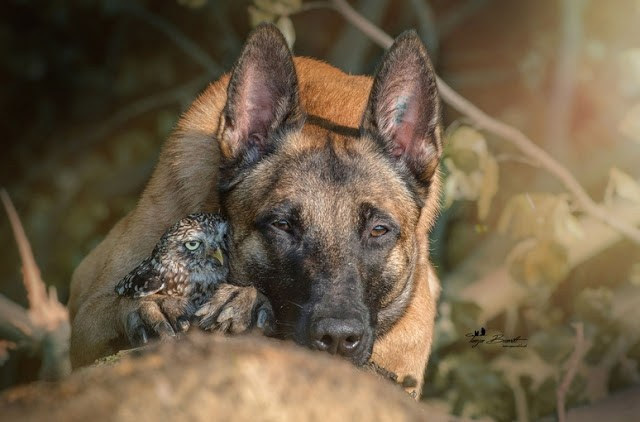 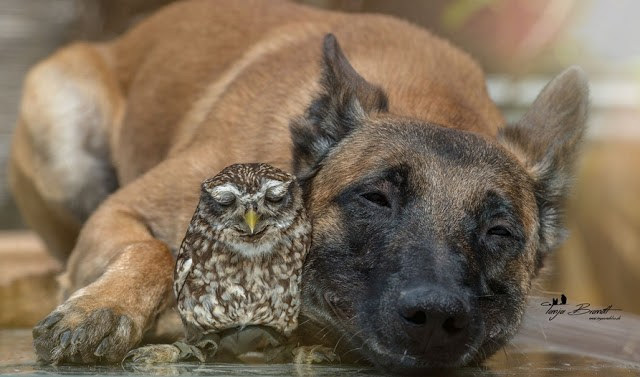 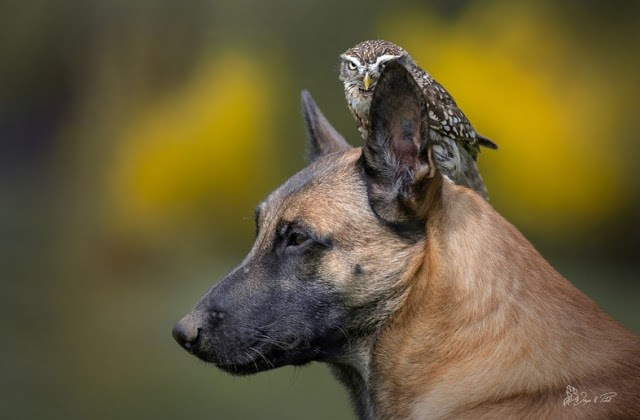 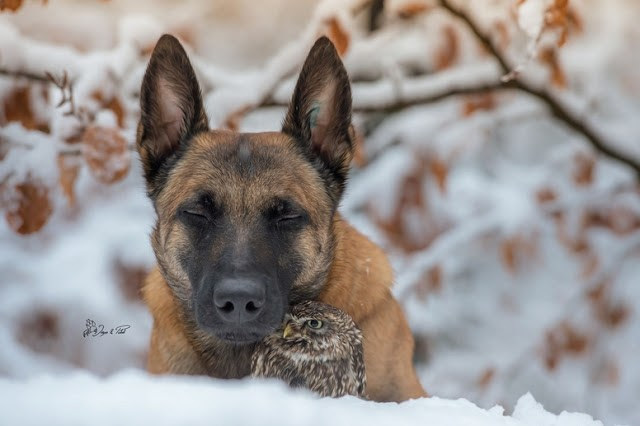 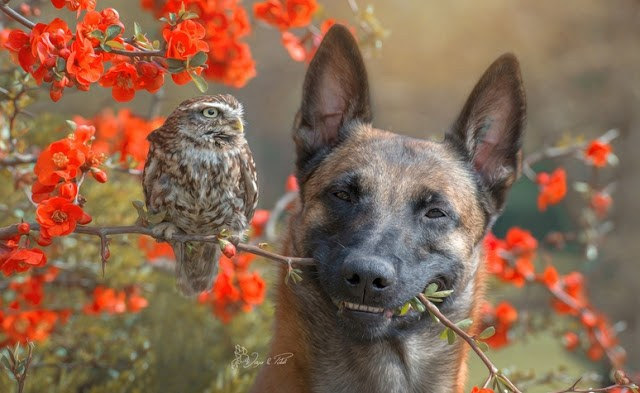 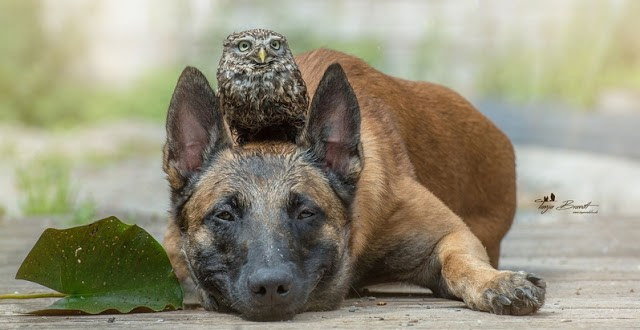 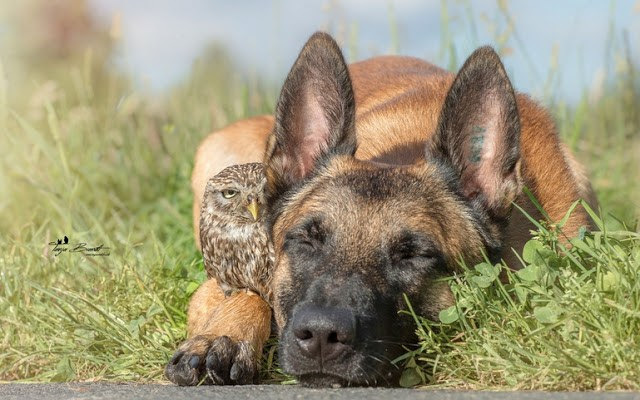 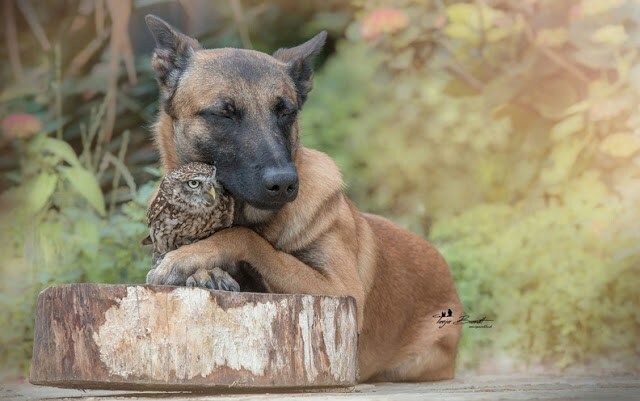 Recently, the German artist found a new challenge when she photographed the unique bond between two unlikely friends: Ingo, a Belgian shepherd, and Poldi (Napoleon), a one-year-old owlet. 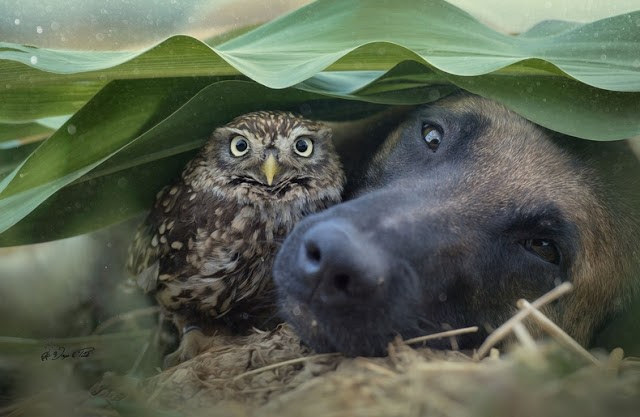 The owlet hatched two days after his six brothers and sisters, therefore, has always been very vulnerable due to his small size. 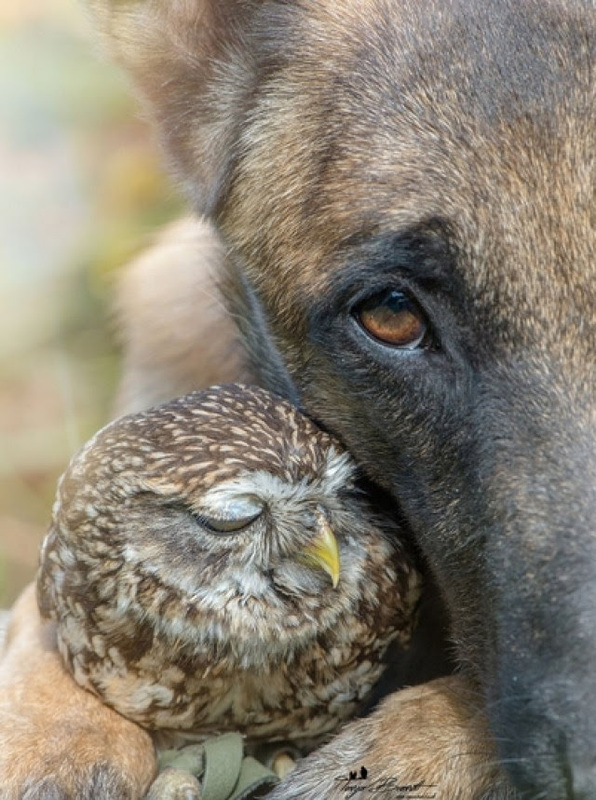 Comparatively, Ingo was raised by a family of strong, and oftentimes ruthless, police dogs. 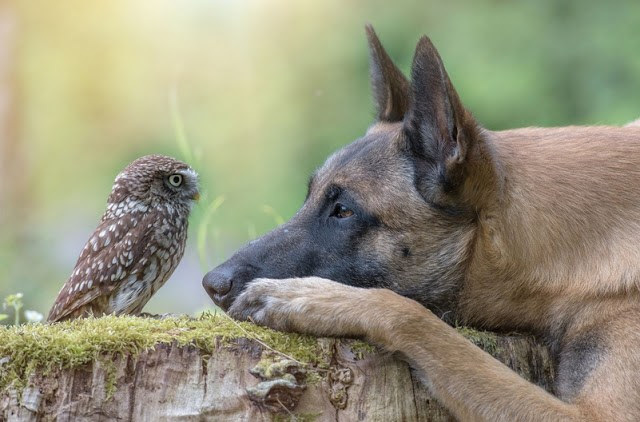 “They respect each other and they can read each other,”says the photographer.